Nominations for the 2019 Buckley Awards are open, and we’re gearing up to celebrate the inspirational work of the young men and women who are making an impact for freedom across the country. As you’re considering who to nominate this year, check out some examples of each of the nomination categories to get your inspiration rolling! The deadline for 2019 Buckley Award nominations is Monday, April 15, at midnight ET. Make sure to nominate a leader who inspires you! This is exemplified by the work of one of the 2018 winners, Carrie Sheffield, and her founding of BoldTV. 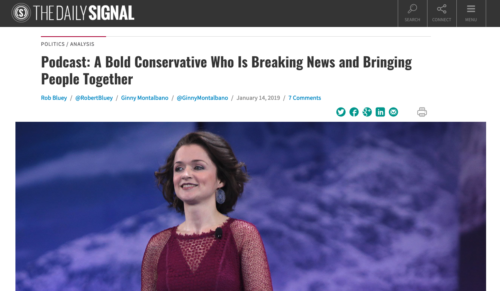 She’s made a significant impact in bringing together diverse audiences and exposing them to conservative ideas through the innovative multimedia outlet. Listen to this podcast to learn more about Carrie and her work at Bold! 2. Significantly contributing to the advancement or understanding of the ideas of a free society. What does this look like? 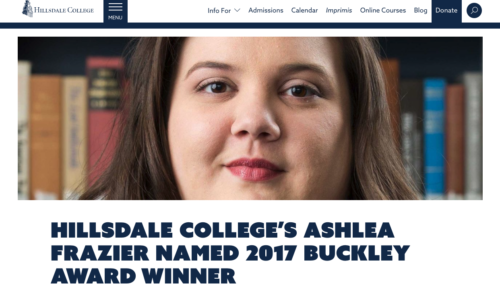 Check out the work of 2017 winner Ashlea Frazier at the Hillsdale College Kirby Center. Ashlea manages the operations and development of the Kirby Center’s programs, which seeks to inspire students, teachers, citizens, and policymakers to return the Constitution to its central place in the political life of the nation. Through this work, she’s also served as a career adviser to freedom-minded students and young professionals in the DC area. Check out more on Ashlea’s work here. 3. Meaningfully impacting news coverage of a high profile issue in the last 12 months. By focusing on empathetic free-market, private solutions, 2018 winner Ericka Andersen, made an incredible impact on the national debate on the opioid crisis through her book Leaving Cloud 9: The True Story of a Life Resurrected from the Ashes of Poverty, Trauma, and Mental Illness. Read more about the impact of Ericka’s book here. 4. Displaying courage and grace under fire. 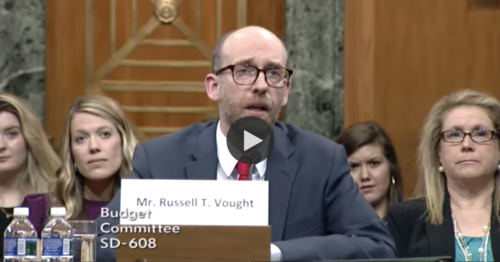 An amazing example of this can be found in 2017 winner Russ Vought’s courage and grace during his confirmation hearing to be the Deputy Director of the White House Office of Management and Budget. Read more about Russ’s exchange with Sen. Bernie Sanders, and find a link to the video, here. What inspirational leaders come to your mind? Who do you know that’s made an impact in one of these areas? Nominate them for one of this year’s Buckley Awards by Monday, April 15, 2019. Plus: celebrate this year’s winners with us at the AFF Annual Gala on May 23 in Washington, DC. Kristine Goffos is the director of marketing for America's Future Foundation. A native Iowan, Kristine is an avid Cyclones fan, and she enjoys a good cup of coffee (or two, or three).